Meat consumption is high in Sweden, but production nevertheless outstrips demand. In a new doctoral thesis in sociology, Jonas Bååth has studied how Swedish meat producers are handling the problems that arise when supply of their products exceeds demand. Why do so many of them continue to produce meat, sometimes even at a financial loss? It is well known that meat production has huge environmental impact and that high consumption of meat can have deleterious effects on human health. Public economic aid does not reward increased meat production and yet more Swedish meat is still produced than consumers want to buy. Meat is discarded or used as animal feed before it even hits supermarket shelves and both grocery stores and consumers discard large quantities of edible food every year. In his thesis work, Bååth interviewed 41 farmers, employees and owners in the meat industry, as well as supermarket employees and perishables managers. The study also involved participating observations, mainly in butchering and packaging in the meat industry. Based on these interviews and observations, he has built his analysis of how excess production is maintained on the producer side of the equation. The farmers Bååth interviewed describe a situation in which it is often difficult to break even raising animals for meat. One reason that many keep at it, despite poor profitability, is that they feel a shared responsibility for maintaining Swedish meat production, which is distinguished by high, scientifically based animal welfare standards, such as low use of antibiotics. Meat production also makes it possible for the producer to work in agriculture and live in a particular place. 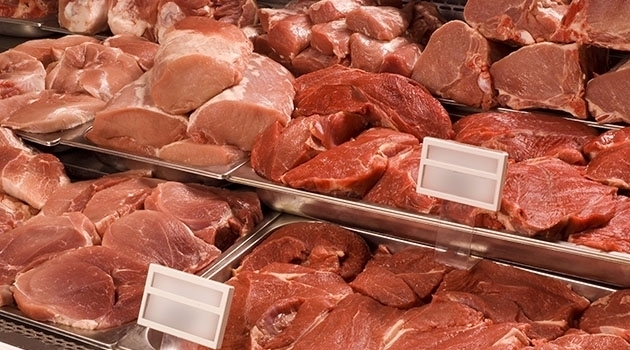 Once the meat comes closer to the grocery trade, fresh meat is often used as a marketing tool. It is important to most supermarkets to have inexpensive meat on offer because meat is a ‘signal product’ that is perceived to reflect the prices of other products in the store. Cheap meat signals a store where consumers get value for money. By tradition, meat is also a high-status product. Quality becomes a matter of the name and type of cuts of meat and prices are set to reflect the status of the product – rather than to make a profit or cover production costs. For the sake of the customer experience, there must be plenty of meat on the shelves and supermarkets take in more than they sell. There must always be a good offer on a popular type of meat, such as mince or a cut that is popular for outdoor grilling during the season. The retailers do not think it is worth it to try and attract customers with low prices on less popular types and cuts of meat. The consequence, according to Bååth, is that the value created in farming and the meat industry – in spite of labels and marketing – is identified only to a minor extent in the actual product or its price. “The excessive production is thus maintained because meat is not primarily used as a food by Swedish meat producers. The result is that supply is not primarily related to customer demand for meat. The study shows that commercial production for a market is not necessarily controlled by strict economic logic, but rather that commerce and production are sometimes maintained for entirely different reasons,” says Jonas Bååth.